Eggs for breakfast sounds delightful. But cracking eggs is a messy thing to do. Those tiny shell fragments getting into your food is a bit bothersome. Also, when you want to separate the yolk from the egg white, manually doing it takes time and feels sticky. 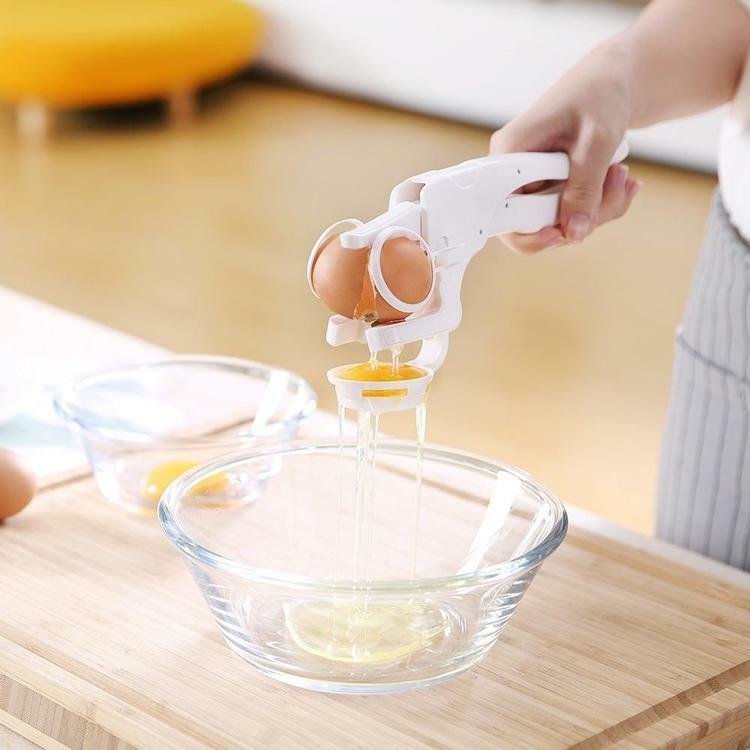 Crack eggs swiftly and smoothly with the Egg Cracker which also comes with an egg separator attachment so you can separate the egg yolks quickly in just a single squeeze! Make breakfast quickly with our Magic Egg Cracker.